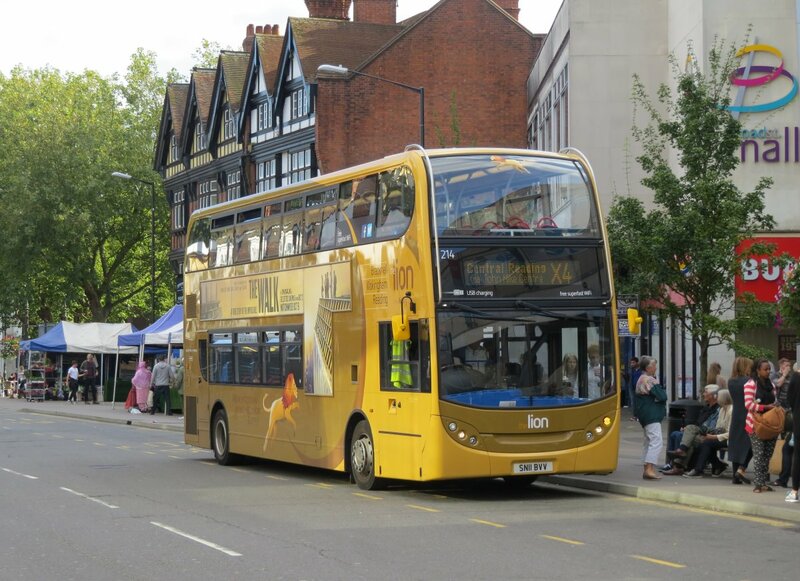 News Page: Reading Summer Bus Trials with photos of 102, 103 and 105 (2), plus links to photos from James Cusworth of 104 and 106. First Berkshire Fleet List: Following the closure of Bracknell on 28th August 33141/83 and 44502/3 have transferred to Slough, along with Greenline 32348, 37274-6, 37985-9 which actually ran into Slough after service on 28th August. 64001/2/5/12-21/30/1 were withdrawn, including 64002 and 64021/30 from Slough. 64001/2/5/15/8/9 transferred to First Hampshire & Dorset during September with the rest expected to follow. 33179/81 have also transferred to Slough, with the others on loan for special event services in various locations. 20809 has been repainted into the the RailAir & you're there livery with Swansea to Seattle rear. Withdrawn 40721 and 42344 went to Alpha Recovery for scrap in mid September, followed by 42347 and 42654 at the end of September. Thanks to Brian Coney for this. Three unexpected new acquisitions are 524-6 DAF DB250 / Wright Pulsar Geminis LJ03 MVV / LJ53 BFU / LJ53 BGU from Arriva London South. They temporarily retain London red livery and centre doors, and are intended for school services along with 521-3 which are to receive 'Silver Stars' livery and replace 551/53/57/58/59/69 in due course. Thanks to Brian Coney for this. Official fleet numbers for the un-numbered ancillary vehicles are confirmed as follows 307 - WL03 JZN and 356 - RE60 ZVL, whilst LA51 NUX was withdrawn several years ago. 415 has been repainted into generic livery following reductions to route 9. Thanks to Brian Coney for this. 805/6 and 839/49 have gained 'Claret Spritzer' coming soon vinyls on their dark green livery, pending the return of 802/7-9 which are to be branded 'Claret Spritzer'. 808 was the first returned from repaint and refurbishment to Claret Spritzer specification, and was displayed at Whiteknights Campus on 21 September. Whilst the demonstrators were in service on the 500, 651/2 have been away for repaint into new a two tone blue livery in a layout very similar to Greenwave, 652 returned to service on 15th and 651 on 23rd both in base colours pending the opening of the new Winnersh Triangle Park & Ride site which replaces Loddon Bridge in October. 653 is currently away. 211 has been repainted into Lion livery, returning to service by 23rd. 209 will go away from repaint once 802/7-9 have all returned. Carousel Buses Fleet List: 402 is SM15 HWD and was in service in Heathrow Link livery by early September. 418 is in Carousel Red with Red One branding. TPL254 had gone by August, duration of loan unknown. 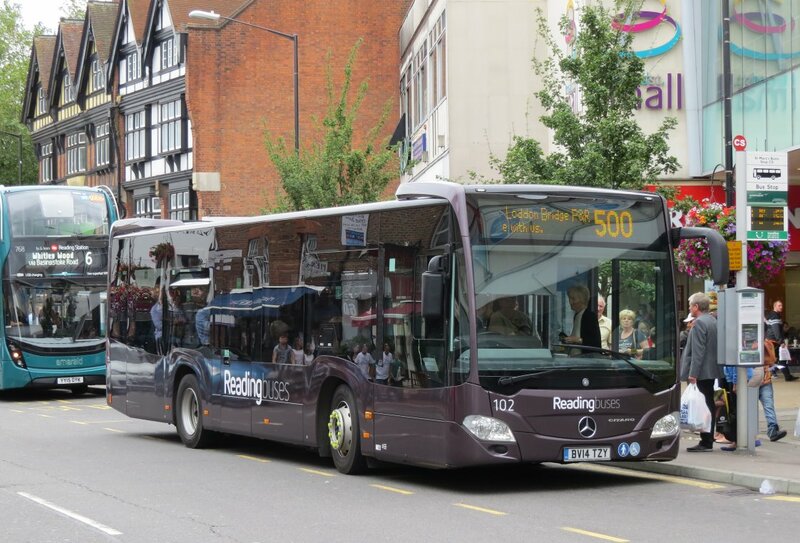 Reading & Wokingham Coaches Fleet List: Scania / Irizar YN55 NFR has been acquired. Thanks to Brian Coney for this. 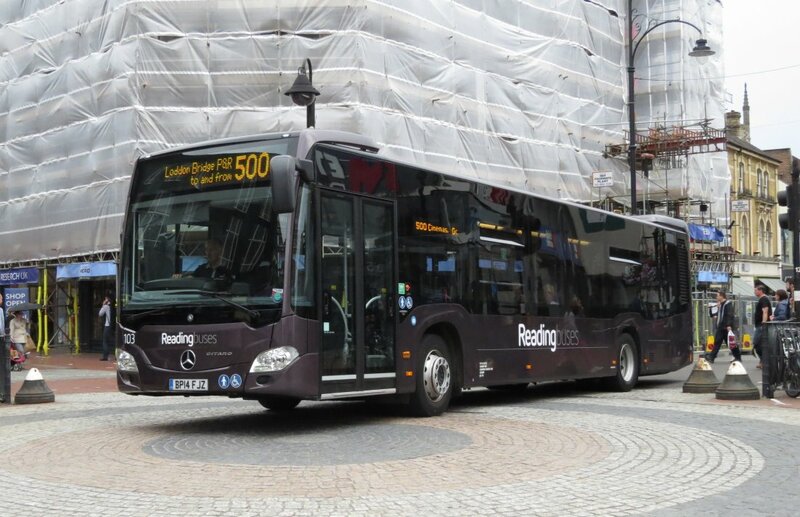 Oxford Bus Company Fleet List: 251-4 are expected to be used on route 500 when Oxford Parkway opens next month and the rail replacement contract ends. Thanks to Ralph Adams for this. 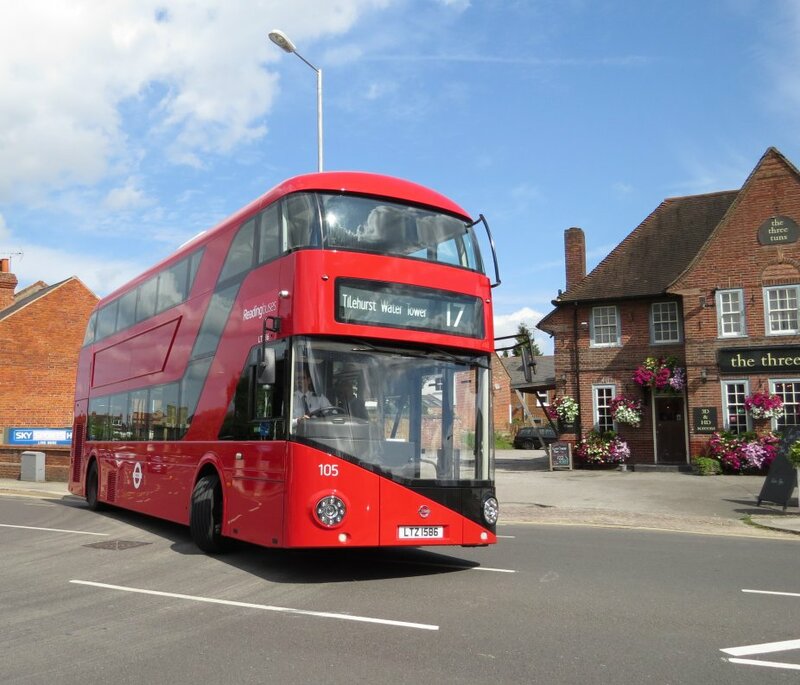 Thames Travel Fleet List: 114 has transferred in from Oxford Bus Company, with the seats removed for the Chiltern Trains contract replaced, and still retaining the centre door. 868/88 have also transferred in, now in Connector livery. 418 and 709 have been transferred to Carousel Buses. 914 has been repainted into a slightly amended version of the livery to match the Scania/E400s. 912/3 are also likely to be treated. Thanks to Ralph Adams for this. Stagecoach in Oxfordshire Fleet List: 10440-42 entered service by early September, with 15436-39 transferring to Stagecoach South East. Likewise 28972-6 were all in service by mid September with an official launch on 17th. As a result S4 branded 36452/4 have transferred from Banbury to Oxford, with 36453 remaining (all three loosing their branding) and 34470/2 going into reserve.